Are you looking for a man with a van? Man and van - small removal specialists! Do you need a small load moving? Congratulations you're in luck! 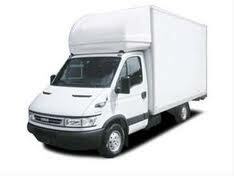 We are the UK's premier small removals man and van company at your service. Whether you're moving house or need a part load moving hundreds of miles away we have a service perfect for you! We're not like other man and van companies! We provide many more additional services to help you when you moving or just transporting a few items, we are the man and van removal company for you! So why use our moving team? In these hard economic times we wanted to help our clients by giving them a choice between a full house removal service, a budget man and van or even our haulage services. 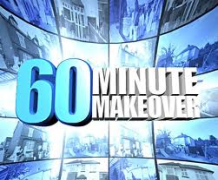 Many large removal companies simply cannot do this due to their business structure and business model! We on the other hand are versatile. Our moving team are profesionals, many of them are from house removal back grounds and have over 100 years experience between them (yes some of them are old) for more info please have a look at our staff bio here. Our team aim to provide you with a high level of service at all times without the high price tag! We have a dedicated call center to deal with all enquiries – no mobiles and answer machines. Our staff handle your items as if they were their own! They are fully trained using our trade associations. We have many referrals galore! Click to take a look some! We give specialist removal survey forms to each customer to help back up our claims! You can choose from a set price for the day or an hourly rate. We also offer discounts for online bookings. You are covered up to £50,000, with our goods in transit insurance so you're fully covered! 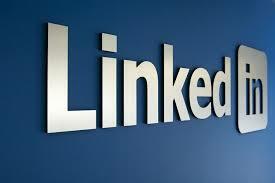 We are a highly professioinal and efficient company! Our aim is to exceed your expectations we aim to ensure all our customers are satisfied with the service they receive. Book your man and van removal service now and claim free boxes! Why don't other removal companies offer a man and van service? 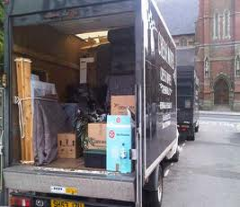 As you probably know the vast majority of professional removal companies do not offer a man and van service. Why is this? Well the main reason is because back in the house moving boom era many people moved alot more than they do now so the need for larger lorry type removal lorries commonly known as Pantechnicons were in very high demand! Now however with the recession and decrease in house prices many people are staying put or moving into smaller accomadation, getting rid of their junk, so therefore having less to move. demand for the man and van type mover was therefore created. Unfortunatley the large removal companies carn't do this with there large Cumbersome removal lorries. As mentioned above we are different to most man and van house removal services, by prior arrangement we are more than happy to move you in the evening if necessary! Maybe you cannot get a day of work so therefore need to move in the evening, thats no problem. When you book our man and van service our goods in transit insurance will cover damage to your property in or out of the vehicle up to £50,000 this is fantastic for your peace of mind. You can view our goods in transit policy here. But couldn't I just hire a van to move my belonings? Most clients find they actually save money by using our man and van service! Van hire can prove to be an absolute nightmare! Please look at our why not to hire a van page here! Book your man and van now! Forget the van hire!